Last winter, as most of you know, I had the fantastic opportunity to get to know, and become friends with, filmmaker Gorman Bechard, when I organized a screening of his documentary about The Replacements, Color Me Obsessed, in Chapel Hill. We just screened his concert documentary about the Archers of Loaf, What Did You Expect?, at the Cradle over this past weekend. 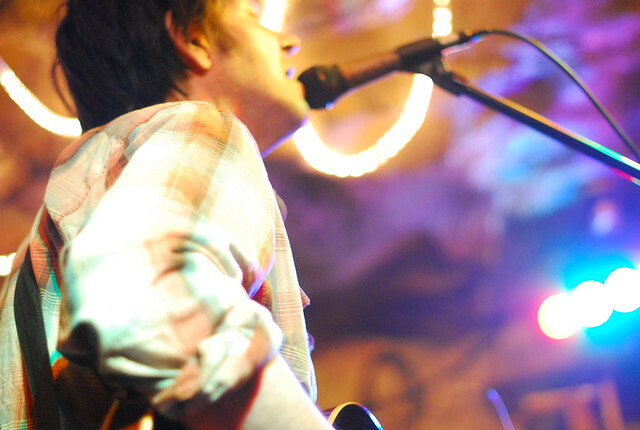 He’s currently working on his third music doc, a film about the life, times, and music of Grant Hart, called Every Everything, and the crew going to be in Minneapolis for 10 days in August, filming the initial footage. Gorman has invited me to come out and shoot both stills and video while he and his crew are working, and I would desperately love to do that, but here’s the rub: I don’t have the money to afford the travel costs. Between incorporation costs and my terrible car problems this spring, I’m just flat broke. I don’t have the cash or the credit to front these costs. So what I’m about to ask you guys — I’m going to ask you if you can do it for me. Everyone who reads this blog has supported me relentlessly while I’ve pursued the pipedream of becoming a full time rock photographer, and I’m asking you to do it one more time (or continue, if you’d like, but also feel free to wash your hands of me after this. <grin>). There’s a donate button below. I need about $600 to afford a flight and transportation in the Cities for four days of shooting, and if you have five bucks that you can spare, and you think I’m worth it, please please please hit the donate button. If I manage to surpass that $600, any money above that amount will go straight back into my photo business, for business costs, for gear, for other travel — with gratitude. If you’ve ever loved a photo I took, discovered a new band because of something I wrote, watched the College World Series with new eyes, and you’ve wondered how you could give me something: this is how. Owing to the fact that I’m this broke, I can’t offer fabulous individual rewards for helping me out, but I can offer you a handwritten thank you note after I get back from Minneapolis, on a postcard printed with one of my shots from the trip, and a special music mix only available to donors. One day, that postcard might be a collectible! The music mix will just rock.